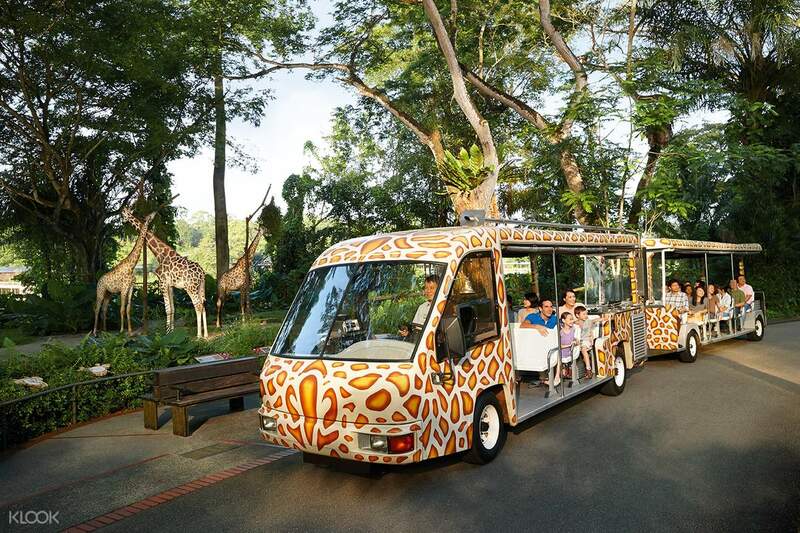 You can also check out the River Safari, or a nocturnal animal experience at the Night Safari! Set in one of the most beautiful wildlife environments in the world, Singapore Zoo is home to over 2,800 animals from over 300 species of mammals, birds and reptiles that roam freely in open enclosures resembling their natural habitats, separated from visitors only by moats and wooden fencing. 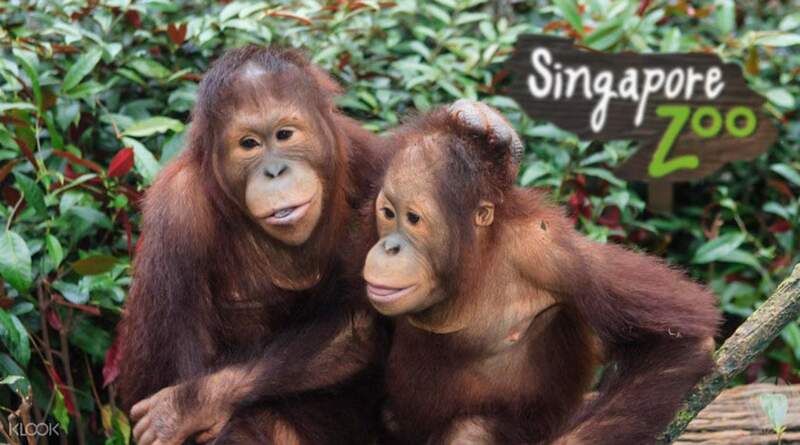 The park also boasts the world's first free-ranging orangutan habitat in a zoo! 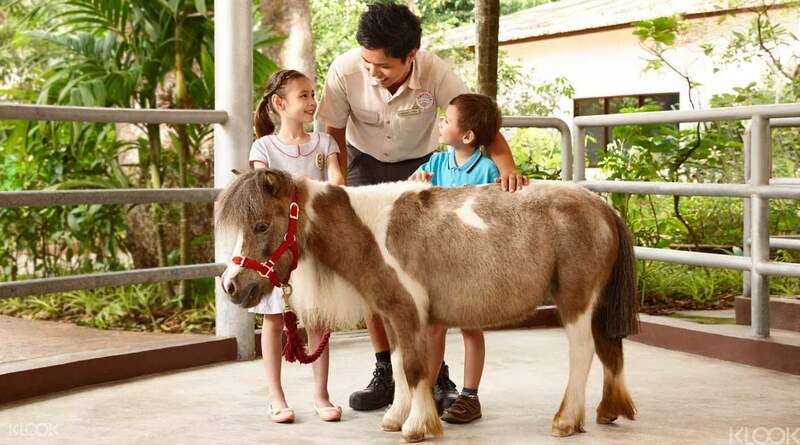 Spend a day exploring this award winning zoo - a great family activity in Singapore. 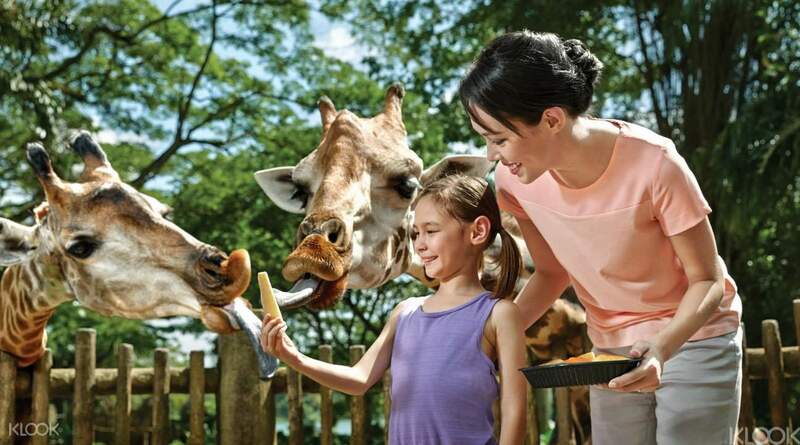 Book your Singapore Zoo ticket with great discount today! One of the best zoos I have been to. All the animals are in natural enclosures which is fantastic for viewing. Tram ride that was included in ticket was a great way to get your bearings. There is also a water splash park for kids so bring bathers. Great for cooling off. One of the best zoos I have been to. All the animals are in natural enclosures which is fantastic for viewing. Tram ride that was included in ticket was a great way to get your bearings. There is also a water splash park for kids so bring bathers. Great for cooling off. The tickets needs to be redeemed from a kiosk. It took us 5 mins since we are a group of 3. When we went there, it was not that crowded. The weather was excellent. The tram ride took us to different animals. Some animals were on care and not allowed to be viewed. Inuka the polar bear was no longer there. And we got to hear everything about ah meng. I just wish we could have seen her years before she passed. It was an amazingly relaxing experience for the whole family. Away from the busy city life. It was fun and best of all great way to spend the weekend withe whole family. The tickets needs to be redeemed from a kiosk. It took us 5 mins since we are a group of 3. When we went there, it was not that crowded. The weather was excellent. The tram ride took us to different animals. Some animals were on care and not allowed to be viewed. Inuka the polar bear was no longer there. And we got to hear everything about ah meng. I just wish we could have seen her years before she passed. It was an amazingly relaxing experience for the whole family. Away from the busy city life. It was fun and best of all great way to spend the weekend withe whole family. Best zoo I ever visited. Needs a bit of direction understanding cause the zoo is huge, I also recommend keeping water and at least 4-5 hours for zoo if you want to enjoy it most. Best part of my visit was that I saw all the animals. Best zoo I ever visited. Needs a bit of direction understanding cause the zoo is huge, I also recommend keeping water and at least 4-5 hours for zoo if you want to enjoy it most. Best part of my visit was that I saw all the animals. Zoo was amazing. Great visit with kids. the token feedings were the best experience along with the shows which gave the kids a chance to interact with the animals in a safe environment. The only suggestion is for the tickets to be a stamp at the entrance like members..as fishing for the tickets everytime u need the tram is a pain. Zoo was amazing. Great visit with kids. the token feedings were the best experience along with the shows which gave the kids a chance to interact with the animals in a safe environment. The only suggestion is for the tickets to be a stamp at the entrance like members..as fishing for the tickets everytime u need the tram is a pain. Good experience. No hassle free from queue up buying tickets. Just go to the kiosk, scan ur pass and print your ticket. When we were there, a lot of the animals taking naps.. so not so much photos we can get. The place a bit big.. if you got toddler, might wanna bring your stroller. Overall, recommended. Good experience. No hassle free from queue up buying tickets. Just go to the kiosk, scan ur pass and print your ticket. When we were there, a lot of the animals taking naps.. so not so much photos we can get. The place a bit big.. if you got toddler, might wanna bring your stroller. Overall, recommended. The kids had so much fun exploring and searching for the animals that they wanted to see. The wet play area is fun too. We enjoyed the splash safari show , animal friends show , elephant presentation show and rainforest fight back show very much. Just a tips if you are planning to watch these show, try to be there earlier especially the elephant show to get seat. We spent a total of 6 hours there but yet to see all the animals. Totally will come back again and thank you klook for the deal. The kids had so much fun exploring and searching for the animals that they wanted to see. The wet play area is fun too. We enjoyed the splash safari show , animal friends show , elephant presentation show and rainforest fight back show very much. Just a tips if you are planning to watch these show, try to be there earlier especially the elephant show to get seat. We spent a total of 6 hours there but yet to see all the animals. Totally will come back again and thank you klook for the deal. Be sure to get there on time and redeem your online ticket from the kiosk counter.And get ready to spot a large variety of animals @ the mandai Singapore zoo.make sure that you get a map from the zoo officials near the entry and decide a path through which you can proceed.asian clawed otters are 1st on your list.carry a water bottle - a large one ,sun glasses , and a hat . you can visit a large display of reptiles... if you are lucky you might be able to see an iguana or two loose out in open and touch them . cat country is an area full of big cats. there is a wet play area for kids so take a swimsuit too.... note down the show times and not to miss the beautiful interactive sessions. Be sure to get there on time and redeem your online ticket from the kiosk counter.And get ready to spot a large variety of animals @ the mandai Singapore zoo.make sure that you get a map from the zoo officials near the entry and decide a path through which you can proceed.asian clawed otters are 1st on your list.carry a water bottle - a large one ,sun glasses , and a hat . you can visit a large display of reptiles... if you are lucky you might be able to see an iguana or two loose out in open and touch them . cat country is an area full of big cats. there is a wet play area for kids so take a swimsuit too.... note down the show times and not to miss the beautiful interactive sessions. Great zoo experience! Easy to get your actual tickets. You just need to scan or enter your ref number on the the machine (right side of the zoo entrance). The tram was also a big help in getting around (it's free when you buy tickets from klook). Kids enjoyed the shows, animals. But most of all, the water park! Great way to cool down after a day of going around the zoo. Great zoo experience! Easy to get your actual tickets. You just need to scan or enter your ref number on the the machine (right side of the zoo entrance). The tram was also a big help in getting around (it's free when you buy tickets from klook). Kids enjoyed the shows, animals. But most of all, the water park! Great way to cool down after a day of going around the zoo. One of the worlds best zoo undoubtedly.The efforts taken by the staff to maintain the place and the variety of animals to see made the experience totally mind blowing.The zoo is very kid friendly and organised in a manner so that people can see similar types of animals in one place.The shows of Rainforest and the Elephant show are very good snd shud not be missed.The entire zoo visit takes at least 5-6 hours...and should be catered for. One of the worlds best zoo undoubtedly.The efforts taken by the staff to maintain the place and the variety of animals to see made the experience totally mind blowing.The zoo is very kid friendly and organised in a manner so that people can see similar types of animals in one place.The shows of Rainforest and the Elephant show are very good snd shud not be missed.The entire zoo visit takes at least 5-6 hours...and should be catered for. A: Unlike third party platforms who may hold fraudulent tickets, Klook is an authorized reseller of Singapore Zoo. All tickets sold by Klook are genuine and will be accepted at the admission gate.